5 + 8 = ? : (Required) Please type in the correct answer to the math question. In checking my course plan I found that I could attend the Knoxville Rotary Club at the Mariott Hotel. The hotel was just up the hill beside the marina so I decided to attend. 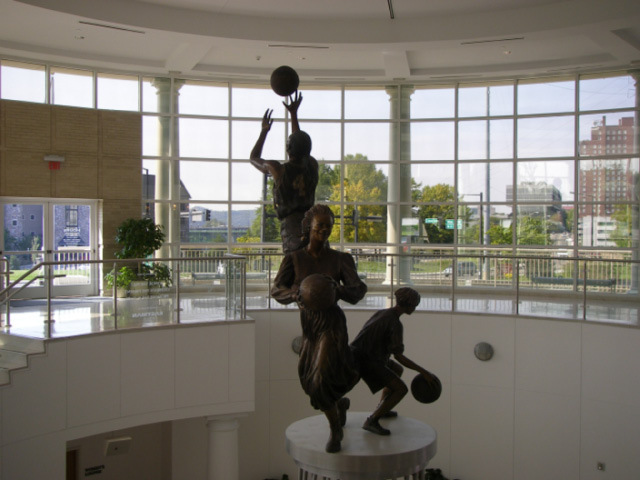 The Women's Basketball Hall of Fame was beside the hotel so out of curiosity I visited the Hall before Rotary. It has been open since 1999 and is very well done given the topic. I had the entire Hall to myself and only when I was leaving did a mom and 2 kids show up. Womens Basket Ball is over 100 years old. The 70's Pontiac Limousine used to carry the All American Red Heads is on display along with all kinds of other memorabilia. In some exhibits you could listen to what famous coaches including Tennesses's famous Pat Summit says at half time to inspire her team. I took it easy on the boat all afternoon while Mavis visited the old town hoping to find real antique stores. She was disappointed.